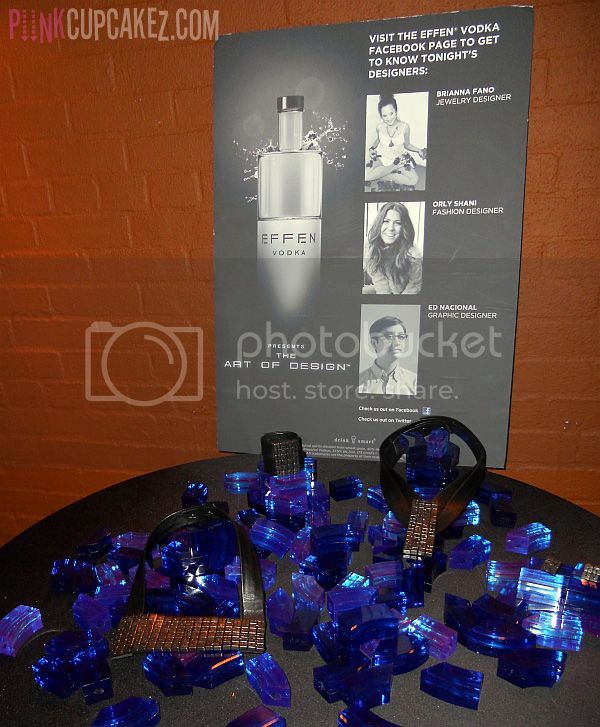 EFFEN Vodka Art of Design Event in NYC. 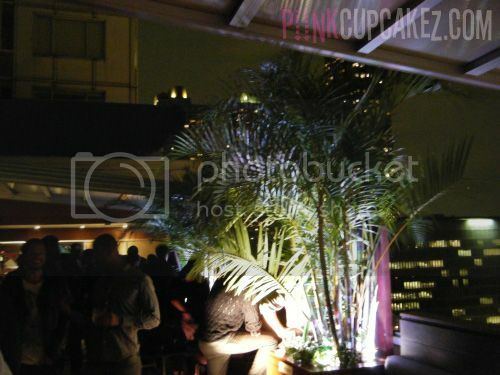 Enjoying cocktails with friends, on a warm Wednesday night, at the Empire Hotel rooftop in NYC.. 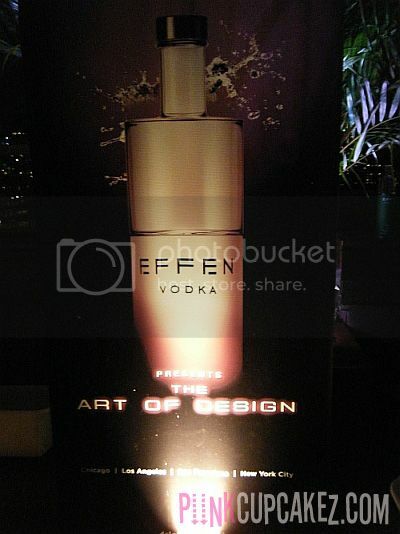 I was invited to attend the EFFEN Vodka Art of Design Event on Wednesday. 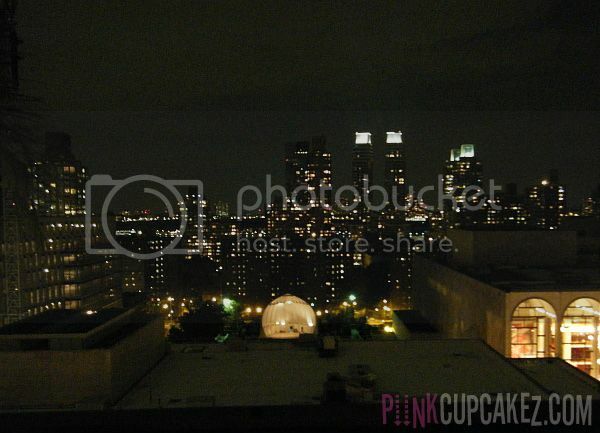 This years event was to help build their brand with bloggers and social media personalities. I've actually never heard of EFFEN until now. I'm loving that name and the bottles sleek design. It comes in 3 flavors: Original, Black Cherry, and Cucumber. At this event, there were 5 teams of local mixologists competing against one another to see who could create the ultimate EFFEN cocktail. When we arrived we received a small bag of marbles. These were used to vote by giving them to the team of your choice. Whoever had the most marbles in the end was the winner. My favorite was the Purple Teams drink. It was delicious enough to make me go back for more! 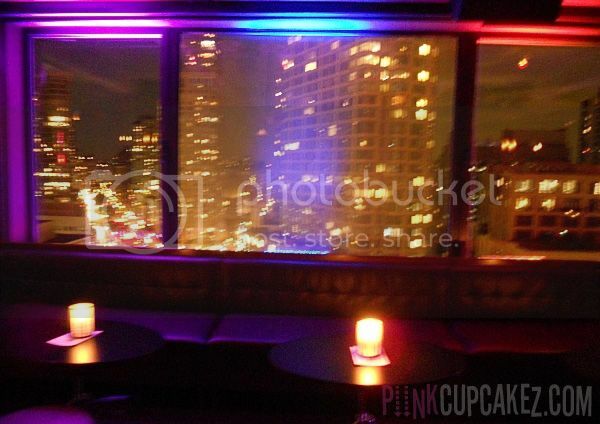 We had an amazing view of NYC and great music played all night thanks to the DJ. There was even a station where you could choose from certain ingredients to come up with your own drink using their cucumber vodka. FAIL! We weren't sure what to choose and ended up killing our taste buds with that one. I'm not a fan of cucumbers in the first place so I don't know what I was thinking. What we chose: Honeydew(we wanted watermelon but they were out), lime, mint, and EFFEN Cucumber Vodka.. no bueno! 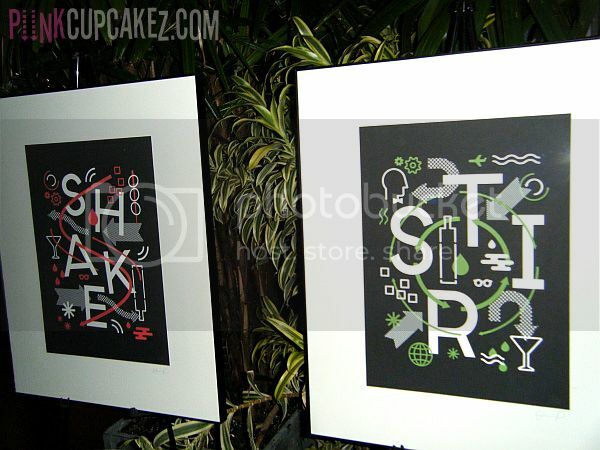 Three fantastic designers were featured that night who created EFFEN-inspired pieces. I got to meet Brianna Fano and Orly Shani. They were both so sweet! My only complaint of the night was that this place was crazy packed! Other than that I had a great effen time! My favorite drink of the night and winner of the competition! 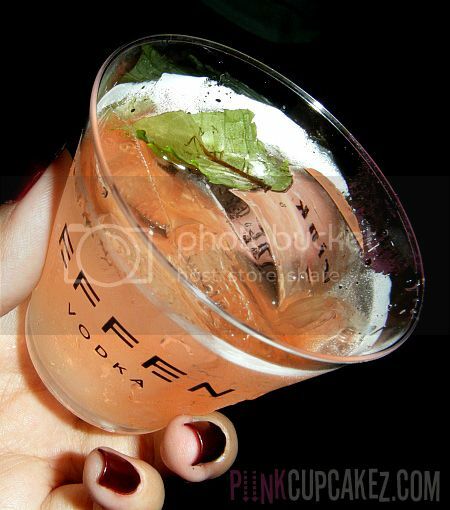 Have you heard of or tried EFFEN vodka before? I'll be posting my look of the night next.